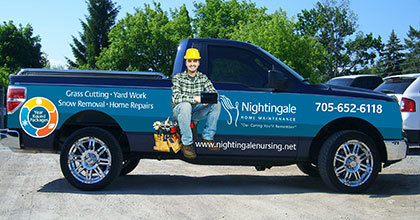 Nightingale Home Maintenance Inc offers interior and exterior renovation services to Peterborough County. If you are over the age of 65, you can save even more with a Healthy Homes Renovation Tax Credit through the government of Ontario. This program makes the services of Nightingale even more affordable, with tax credits of 15% on eligible expenses (up to $10,000). When you select a service package through Nightingale Home Maintenance, you also get 2 hours of free home maintenance services each month! For additional information about our renovation services, please call Nightingale today to arrange a consultation! All renovators are fully-licensed, bonded, and insured.